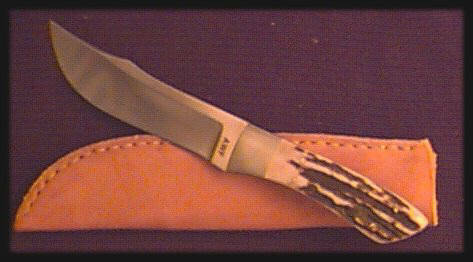 Model 6 - 440-C blade with brushed finish, 416 S/S bolsters, with sandbar stag handles. The overall length is 9 inches, with a handsewn leather sheath. Handrubbed finish available.